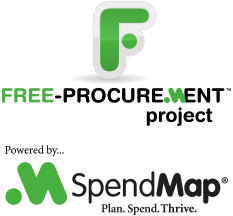 We’ve had a few support tickets from people who are seeing a message like “Waiting to start report” when printing Purchase Orders or other reports to a PDF file in the free version of SpendMap, or when emailing POs in PDF format. We think the problem may be a result of a big update to Windows 10 that Microsoft pushed out recently. In the Windows Control Panel, navigate to “Devices and printers”, and remove the “Palmas PDF printer”. To reinstall the PDF printer driver, just RIGHT-mouse-click on the shortcut/icon that you use to run SpendMap and select “Run As Administrator”. As you log in to SpendMap, you will see additional prompts to install the printer driver. If you are still not able to view or email POs or other reports in PDF format, please let us know on our Support Ticket System.